tion, to after-sales, dilitronics is with you. Find out how we operate. dilitronics takes care of your products and your customer’s needs quickly and reliably, without burdening your internal resources. …your product development and production to us lets you focus on your customers and your business. …Consultation – development – production – logistics – quality control – support. dilitronics provides an all-in-one service. …is tested and confirmed multiple times, both by dilitronics and by our partners, to ensure a technically superior product with the best quality. …exemplified by a team which brings together application-specific expertise and years of practical experience when carrying out your project. …thanks to our highly efficient processes, keeping the turnaround time for your project short. …when building the foundations of your product, thanks to the dilitronics LED driver modules – this means we can begin working on the individual requirements of your application as soon as possible. 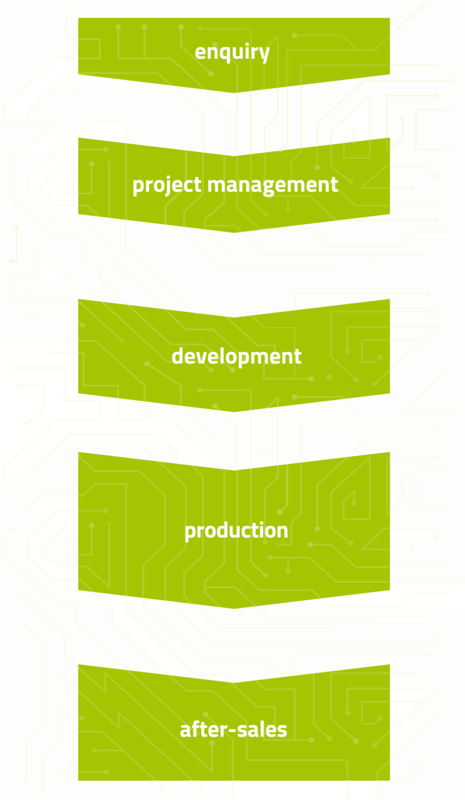 …ensure a stable production chain, while you and your project remain the priority. …through specialised variant management and several carefully-selected strategic partners. Make decisions and achieve results while dilitronics takes care of the rest! …approaches to individual products, developed according to your requirements. We only develop bespoke products tailored to your needs and your application. …thanks to dilitronics. dilitronics Continuous Supply makes sure your product stays cutting-edge even through product modifications, new versions and component cancellations.